"What began in Hell, will end on Earth." 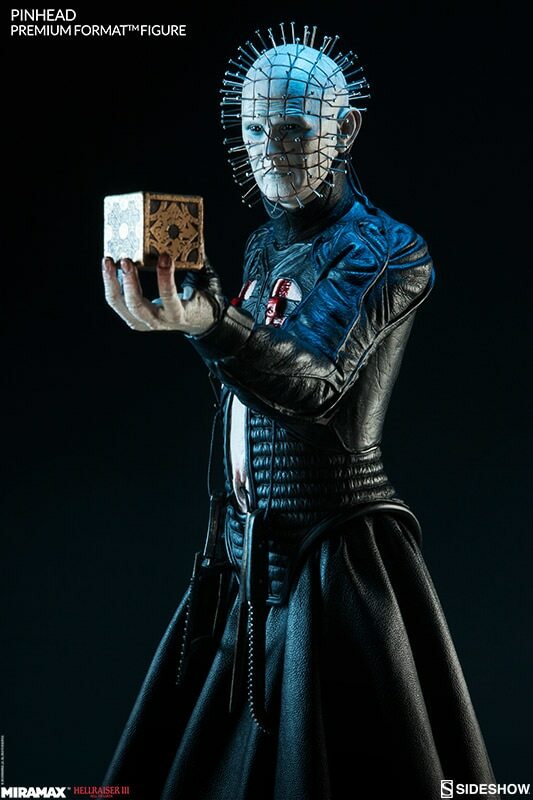 Joining our Cult Classics collection, Sideshow Collectibles presents the highly anticipated Pinhead Premium Format™ Figure from Clive Barker's Hellraiser franchise. 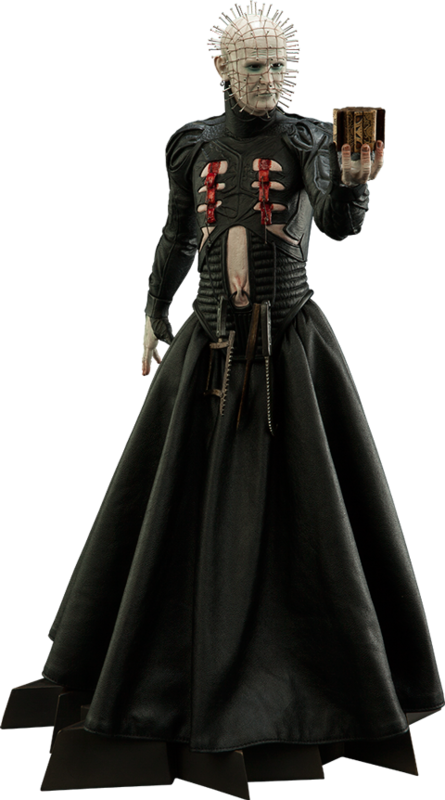 Capturing Doug Bradley's unforgettable performance as the cult horror icon, Sideshow's artists have summoned the sadistic leader of the Cenobites with delightfully chilling realism. 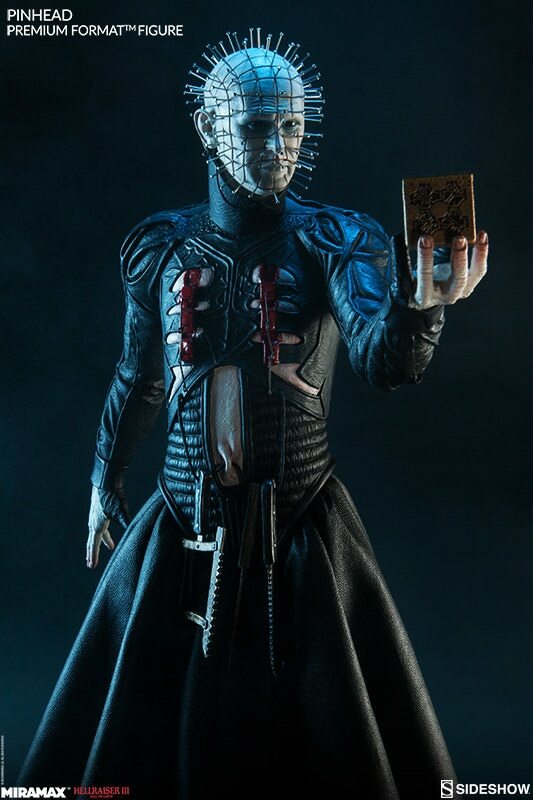 Cold arrogance etched across his pale and mutilated visage, Pinhead is a gruesome portrait of eternal pain, in an authentically tailored replica of his striking black costume, complete with gory hooks and piercings. 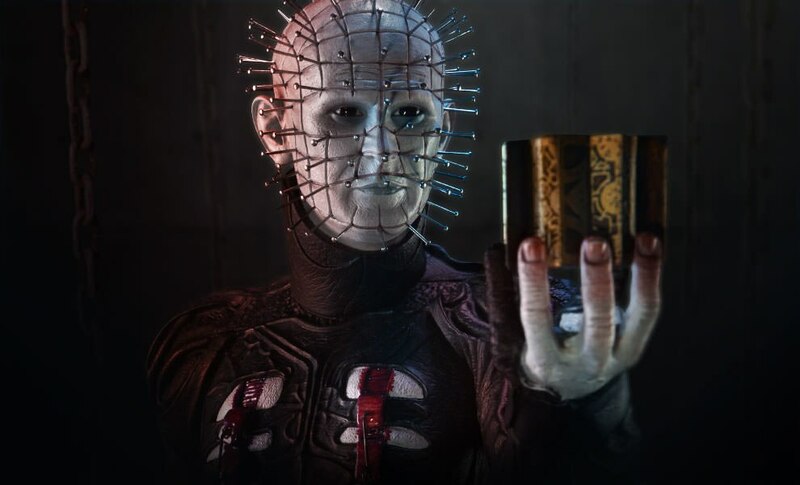 Ready to raise hell, the Angel of Suffering taunts his victims with Lemarchand's puzzle box in one outstretched hand; while a disturbing inventory of bladed torture devices hang at his waist, waiting to tear their souls apart. 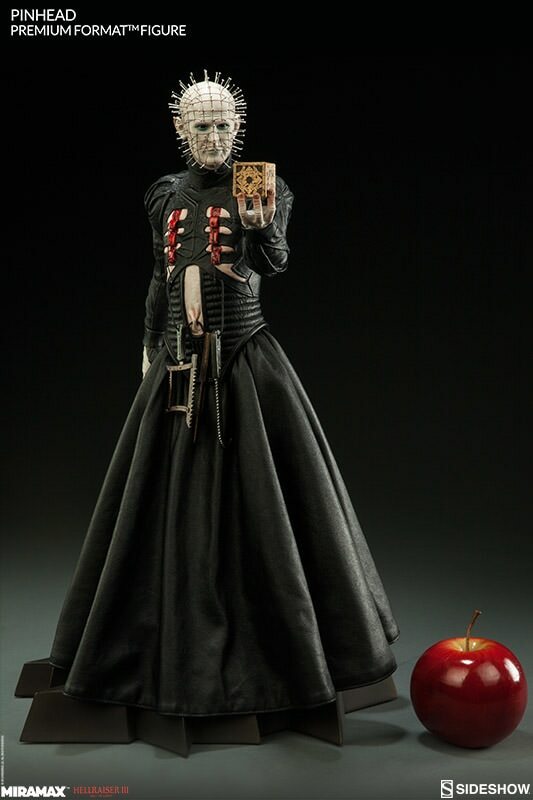 An incomparable tribute to one of the most frightening nightmares in film history, the Pinhead Premium Format™ Figure is every horror collector's dream come true. (c) 2014 Miramax, LLC. All Rights Reserved. Capturing Doug Bradley's unforgettable performance as the cult horror icon, Sideshow's artists have summoned the sadistic leader of the Cenobites with delightfully chilling realism. 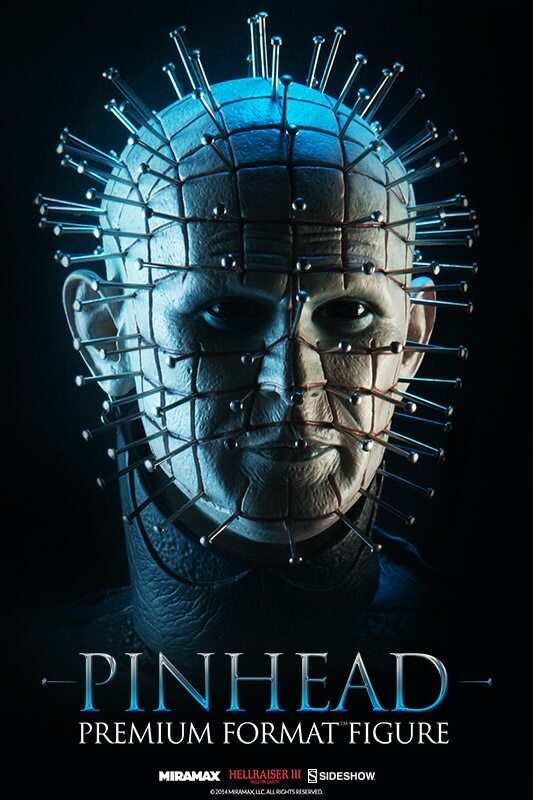 Cold arrogance etched across his pale and mutilated visage, Pinhead is a gruesome portrait of eternal pain, in an authentically tailored replica of his striking black costume, complete with gory hooks and piercings. Crafted from premium grade polystone and ready to raise hell, the Angel of Suffering taunts his victims with Lemarchand's puzzle box in one outstretched hand; while a disturbing inventory of bladed torture devices hang at his waist, waiting to tear their souls apart. Amazing figure. I put him on my speaker in my theater room with a green LED light shining on him.. really brings out the evil. :) Very well made and worth the money. Clive Barker must be proud. WE'LL TEAR YOUR SOUL APART.. 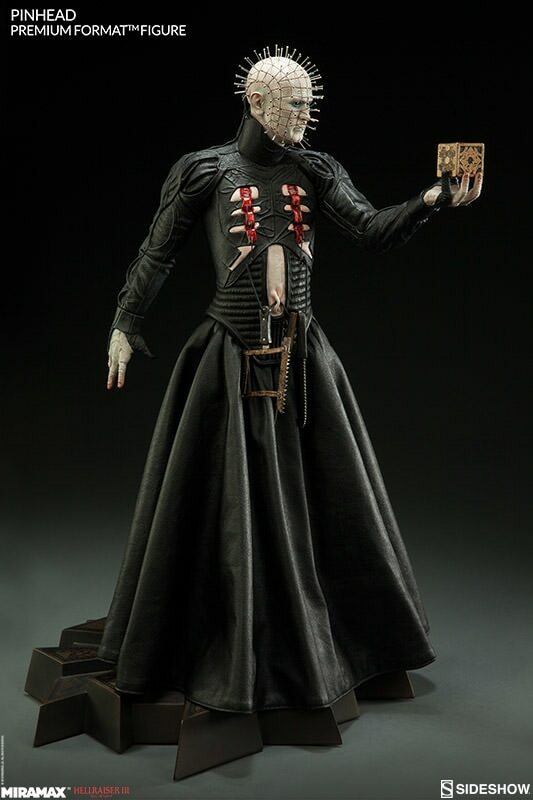 This is the supreme statue of Pinhead you can get..Many tried to make our favorite cenobite in statue form, but here and now Sideshow tops everything before..Thank you for this amazing piece! Best figure i've seen, i have all the Hellraiser figures released and this one is the best by far. If you are a fan you can't let this one pass. And to think i hesitated! Your suffering will be legendary even in Hell. I can not stress how happy I am with this statue. I am really glad that the lower portion of his robes doesn't flare out as much as it looked like it would in the prototype pictures. The detail is absolutely amazing! If you are a fan of Hellraiser this statue is definitely worth it! 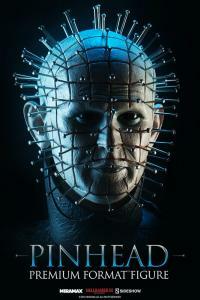 PINHEAD was worth the wait!! This is the best Sideshow statue to date. 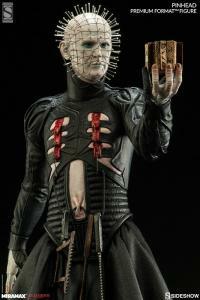 Pinhead looks fantastic with all the detail. Worth the money, no buyers remorse after purchasing this one.